There is no great secrets that Google AdSense is the best program on internet to earn money but what are the alternatives for people who don’t have AdSense account or if their account is suspended. Do they leave blogging & get back to their 9-5 job or traditional business. OR they should join another ad network OR try again for AdSense account. Google is becoming more & more strict for their AdSense policy. You will not easily get approval for AdSense account or if your account is suspended due to policy violation, its very difficult to reactivate your account or create a new account with the same name. And yes, I am sure, if you are addicted to internet income then you can’t adjust yourself to any job or traditional business. Do you want to go for other Google AdSense alternatives? What you think if they can match the income you were earning or you can earn in Google AdSense. Let’s check the review of these top 10 AdSense alternatives & see how much you can earn from these ad networks. One of the best alternative, if your site has unique 500K impressions per month & meets other site requirements. They have varying CPM rates depending on the topic of your website. You can earn $0.5 to $2.5 CPM. With some tricks, you can increase your CPM rate. Tribal Fusion pays 55% of the total income you make from the ads. The only way to get paid is by cheque which can take long time to receive & to credit in your account. Interested? then you can apply for Tribal Fusion. They manually check each application before giving approval. AdBrite’s PPC & CPM rates are better than many AdSense alternatives because they have very large number of advertisers in their network. You can get 10 cents to 50 cents or sometime even $1 earning per click. It may work well for some publishers but not for others. They pay by cheque in US dollar & the minimum amount they send is $100. You can find many ad formats that can fit for your blog. Clicksor is also a good alternative after AdSense. You can find 10 different types of ad formats that you can use on your website. You may use inline text links, text & image banner ads, pop-under ads & Interstitial Ads. Depending upon the ad format, the niche of your blog & geographical target, you can earn money from Clicksor. They share 60% of the revenue they generate through your website. You can get paid every 15 days. Payment method is Paypal/Check & minimum they pay is $50. You will find many negative reviews of Clicksor who has worked with them. Earning is not that impressive as per the reviews from publishers. It takes around 3 days to review your application after you signup. Don’t insert the ad code until you get the approval as sometime it may take 2 weeks or even more to check your application & till that time they will enjoy the free ads on your website. Zedo is one of the good advertising network & you can make good income through its network. Signup process is very simple & sometime you can get easy approval in spite of their strict requirement policy. You earnings increases if your website is able to generate more sales to the advertisers. Many people complain of installing spyware on your computer so better install a good spyware on your PC if you work with Zedo. You can signup ZEDO here. Many people choose Bidvertiser as an alternative to Google AdSense because they have very liberal T&C & you can easily get the approval. If you have never worked with other ad network & if you are earning income from Bidvertiser then you might think its a good choice but if you worked with AdSense then you know what I am talking about. Long time back, I tried to test Bidvertiser along with AdSense. I used only 2 same size vertical ad units in my pages. One of Bidvertiser on one side & other of AdSense on other side. The earnings that I received in Bidvertiser was only 5% that I made through AdSense. There was a big difference in ad CTR as well. Then for next few days, I interchanged their ad position to see if other side ads get more CTR. I was shocked to see that the result was same. I was 100% sure that they were stealing my clicks. It was my story, long back. You can try & check yourself. Check this link to join Bidvertiser. Kontera is a popular text link advertising program where ads display as a text link in your blog content itself & its easy to implement this in your website. You don’t need any space to display the ads. You can utilize those spaces for other ad network. But this text link method can lower your rank in Google SERP. Many publishers are not satisfied with the low earning they receive in Kontera. They say its not worth to join Kontera ad network. Infolinks may prove better AdSense alternative than Kontera because you may earn better than their ad network. Their ad format includes insearch, intext, intag & inframe. One of the biggest disadvantage is that, readers hate such types of ads. They may discontinue coming to your blog if you regularly bombard with Infolinks ads. They have various payment methods like PayPal, bank transfer, Western Union, Check etc. & the minimum amount is only $50. If you don’t have other option, join infolinks here. Chitika is a lot similar to AdSense. You will find similar ad format & you also earn from CPC as in AdSense. Another benefit is to join their affiliate program where you can refer people to join Chitika. The main difference is the ads displayed are driven by the visitor’s search query, not directly by the content on a given page. Their CTR & CPM rate is poor. One of the main benefit of joining Chitika is you don’t have to wait for the payment. You can receive it via PayPal as soon as you reach $10. Join Chitika here. Vibrant Media is one of the best AdSense alternative. It’s a CPC ad network that provide mainly in-text advertising & other ad formats. I have tried Vibrant Media in the past & checked how it performs on my site as compared to other ad network. It gave me satisfactory results & good earnings. You can join this ad network if you have good targeted traffic on your blog. Signup here. Exit junction has very unique approach for your site, if you want to monetize your website traffic. You don’t need any ad space or ads through text link in your content. In fact, Exit junction earns you money after visitors leave your website. More than 60% people who visit your site bounce from the first page. There is no way to earn money from this exit traffic. And where the Exit Junction plays an important role. Your visitors will be presented with highly targeted ads when they exit from your site. The ad CTR is good. Even the CPC & CPM rates are better. You can get paid minimum $25 through PayPal. You can earn 10% lifetime earnings for all the referrals. How do you like these top 10 AdSense alternatives? Do you think you can earn even 50% from any of the ad network than you can earn from AdSense? I think, its better to combine 2-3 ad networks to maximize your earnings. 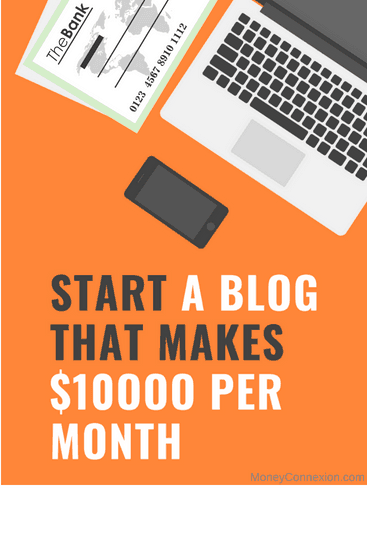 Don’t make your blog look like an advertisement site. Respect your visitors. If you have any experience with any of these AdSense alternatives then share it through comments. “Google adsense approval is easy nowadays also, but many bloggers say it is hard. Why? Because they have not done what you have said in this posts. To be very honest, Infolinks is not good for small publishers. I am not earning a single penny from them. But Bidvertisers and Adhexa are paying me more than $0.50 for 1000 views. They are best for small traffic websites or blogs. But if you have 1000+ daily visits from UK and USA then you should apply for media.net they are paying much batter to Adsense. You can also apply for MadAdsMedia they are also paying good amount. I have an Adsense account but I haven’t made enough to write home about. I use to use them in the past but haven’t really in years. Guess that’s why I still have good standing with them. Really nice article. I liked Clicksor is also a good alternative after AdSense. we can find 10 different types of ad formats that you can use on your website . Thanks for shareing. Hi Priya, I think that you have mentioned really some good and trusted Google adsense alternatives. But i think Infolinks should have taken the first place. But i understand that opinions may differ from person to person. According to me, Infolinks is probably the best adsense alternatives i have ever experienced. It’s true that your experience may differ. But as long as you use Infolinks on your site and you use some good keywords, it is really not hard to earn good income. Infolinks is a highly trusted in-text advertising networks running its business for a long time. There are people who earn thousands of dollars from Infolinks only. You just need a good site with high number of pageviews with good earning keywords. That’s it. The best part is that anyone can join Infolinks with even a small site. They don’t have difficult criteria to approve your sites and it is basically good for beginners. If you run a small site and want to monetize, Infolinks should take the first place of your consideration. Infolinks is truly great at helping even small publishers make money on the internet. Read a complete review of Infolinks. Visit webmuss.com/infolinks-review/ . Hope the review will help you make your decision. However, i must say it’s a good article.